There are many reasons for selling a home and we’ve compiled a list of 10 reasons to sell your Santa Clarita home. Some homeowners sell and move often, while others stay in the same home for years. Santa Clarita residents might find it surprising, the average United States homeowner sells their home every five to seven years. We’re not sure what the statistic is for Santa Clarita but our guess is, we stay in our homes longer than the national average. Santa Clarita is full of family occupied homes, and homeowners with children tend to stay in their homes longer. Some stay in one home almost their entire lives, while others are quite mobile. Who ever said a person should stay in one home for 30 years? In fact, buying another home can be great fun, and a change in our environment might be good for us. We spoke with several top iRealty team members and discovered the most often heard 10 reasons why Santa Clarita homeowners sell. School Districts – In Santa Clarita we have GREAT public schools! Still, many of our children are sports crazy, and sometimes the parents are too! They will even sell their homes to move a few blocks over so their child can attend a particular school and play a specific sport! Too close to Schools. Living very near schools have pros and cons. Sometimes homeowner’s get way more than they bargained once they get a dose of the traffic associated with living near a school, especially a high school. Homeowner’s Association Problems! HOA’s are common in our area, but some can be darn tough to live with. If unaccustomed to the HOA Rules and Regulations new residents can find them a bit too restrictive. The only solution is to get out! Job Transfer! This is nothing new, and here in Santa Clarita we get more residents relocating into the area than the other way around. Move Up – This is common everywhere but we see it often locally because we do have many families in the area. Three bedrooms isn’t enough so, mom and dad move up to a larger home! Empty Nest. Yep, why stay in a home with five bedrooms when the kids are gone? Tip – Before selling, make sure the kids really are gone before selling. It’s not uncommon for them to move back home a time or two before settling down. Also, if you do move, make sure you have an extra room for the grandchildren. Neighborhood Deterioration – This doesn’t happen too often in Santa Clarita, mostly due to the large number of HOA’s. Regardless, not every neighborhood has a HOA and there are a very few that could use some revitalization. Equity – Some homeowner’s take the money and run! You can’t blame them, but don’t forget about that little thing called taxes. For as much as we all complain about our mortgage payments, we do get a big tax break on the interest. Health Problems – What happens if you live in a two story home with all the bedrooms up, and because of physical problems you can no longer make it up the stairs? Yep, it’s time to find something more suitable. Home Maintenance – Homes need constant repairs and upgrades, but not everyone is interested in keeping their homes in tip top shape. Sometimes it’s just easier to sell and let someone else deal with it! Whatever the reason for selling a home, it’s a personal decision. 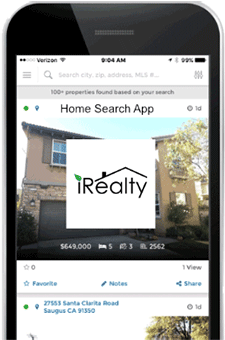 When the time comes to sell, iRealty is always available to help out. We provide free real estate consultations and residents need not fear any sales pressure whatsoever. Santa Clarita is our home community and our highly regarded team members are your local real estate experts. We hope you enjoyed seeing the 10 reasons to sell your Santa Clarita home. Selling Your Home By Owner or Using a Realtor? The iRealty business model is built around the belief, “in the absence of value, price becomes an issue.” Our entire team is always ready to be of service with all your real estate needs.